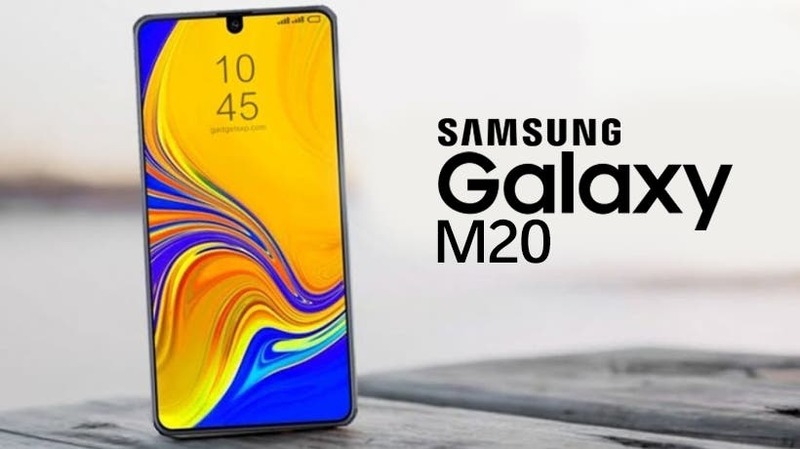 As we head towards the official launch of Samsung’s budget Galaxy M-series, the leaks and rumors surrounding the entire Galaxy M series have begun to intensify around, with a previous leak suggesting the Galaxy M10 and M20 will sell in India at Rs 8,990 and Rs 12,990 respectively. More leak has surfaced, but this time in the form of a leaked live image of the Galaxy M20. The Galaxy M20 isnt really new to the leaks game, so we know quite some details about the device already. The new leak doesn’t reveal anything new but it does confirm the previous leaks. 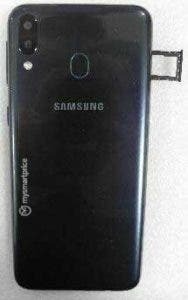 Released by tipster Ishan Agarwal, in collaboration with Mysmartphone price, the new Galaxy M20 leaked image shows a Galaxy M20 with some sort of reflective back, though is not quite possible to ascertain the build material at the moment. It also cements earlier prediction that the device will come fitted with a dual rear camera setup and a rear fingerprint sensor for added protection. The camera module is located vertically in the top-left corner along with an LED flash while the fingerprint sensor is placed in top-center position. If we go by the reports, leaks, and renders, the Galaxy M20 and of curse the other M series will come with the Infinity U display which literally is Sammy’s term for the water drop design. Unlike the A and S series of GALAXY PHONES, the M-series might get the LCD panels rather than AMOLED, at least to keep the price with the reach of the budget users. Though the Galaxy M20 and the entire M series are yet to debut, it has been confirmed that the new series is of paramount importance to Samsung, as they aim to arrive as a replacement to the Galaxy J and Galaxy On lines.